GTD Audio U-504 microphone unit is a very high quality professional and reliable 4 channel UHF wireless handheld microphone systems. It uses the most advanced technology called SMT (Surface Mounted Technology) and is made of the highest quality surface mounted components to ensure its quality and reliability. 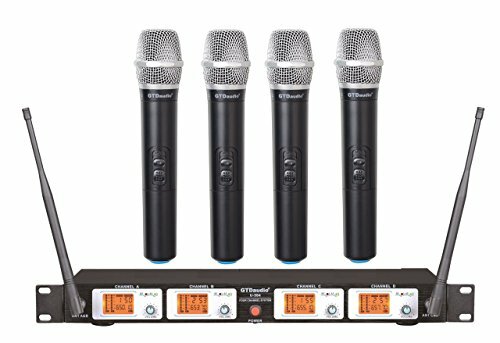 It's ideal for professional performance, in church or home karaoke use.